David Joseph Palmer passed away on August 21, 2018 in Crossville, Tennessee at the age of 35. David was born in Cleveland, Tennessee to William Palmer and Linda Black on May 5, 1983. 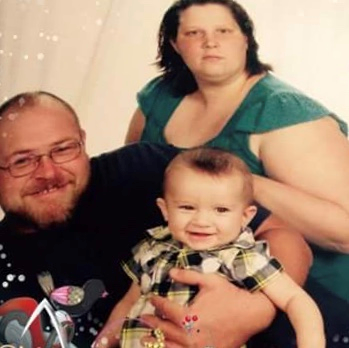 He is survived by his wife, Angel Palmer and son, Jaxon Palmer; his parents, William Palmer and Linda Black; In-laws, Teresa and Terry Bailey, Terri Bailey, Heather Bailey and Billy Young, Johnny and Carleen Smith, Brittany Smith and Johnny Smith. There will be a celebration of life on Saturday, August 25, 2018 from 10:00 AM until 12:00 PM in the chapel of Thurman Funeral Home.